WS-MPPT15 10A/15A solar controller (also known as WELLSEE intelligent PV controller) can intelligently regulate the working voltage of solar panels, letting the solar panels always work at Maximum Power Point of V-A curve. Compared with ordinary solar controller, this MPPT controller can increase the efficiency of PV modules by 10%-30%. 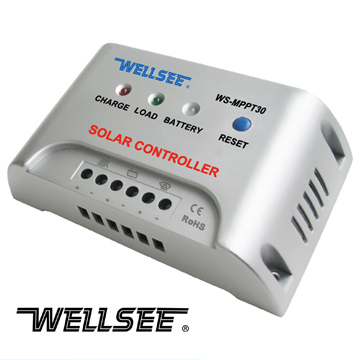 WELLSEE WS-MPPT solar controllers 10A--60A include 12V series, 24V series and 48V series.